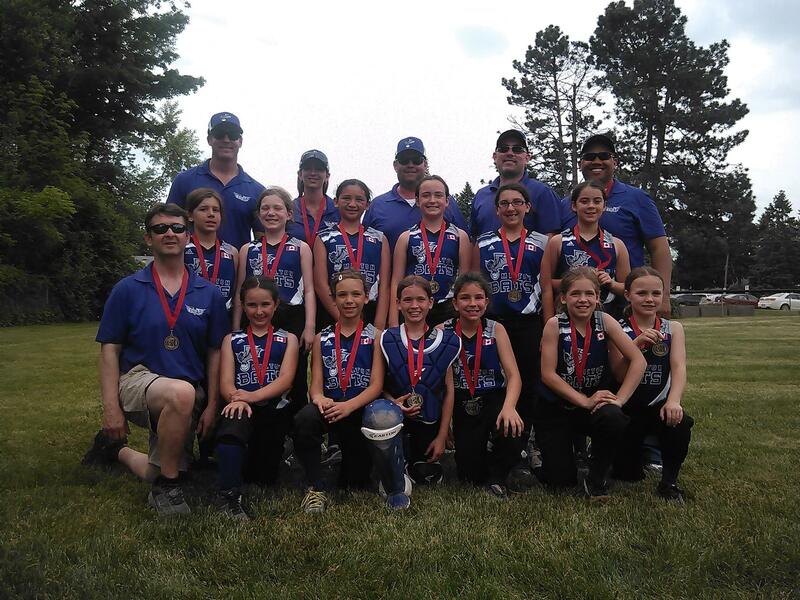 MGSA House League is a recreational program designed to allow girls of any skill level to learn, develop, and enjoy playing the game of softball. Prior experience is not required at any level in our house league programs. Our House League program includes divisions for girls from age four through sixteen years of age. Registration opens in early spring with play beginning in May. Hat, uniform shirt, shorts and socks are included in registration fee. What equipment will I need to purchase? Players are required to supply their own baseball glove and helmet. Cleats are not required but recommended. What happens on holidays in the summer? No baseball practice or games on statutory holidays, if a game night falls on the holiday then the game switches to the practice night. When and where might my daughter's team play and practice? U14 Novice for girls born in 2005-2006: Monday and Wednesday evening games from May to September (away games in Mississauga). Practices vary week to week. U16 Bantam for girls born in 2003-2004: Monday and Wednesday evening games from May to September (away games in Mississauga). Practices vary week to week. For players who wish to experience some high level ball, we choose the top of the girls from MGSA house league to play for the Milton Bats and represent our league at tournaments throughout the summer. The select team typically practice once a week and play in 3-5 tournaments throughout the summer. To tryout for the select team, you must be enrolled for house league with Milton Girls Softball Association. Tryouts will occur at the beginning of the house league season in late April / early May. There is an additional cost to playing on the Milton Bats, over and above house league registration. Typically the cost is about $200, depending on number of tournaments and/or extra exhibition games individual teams choose to play. 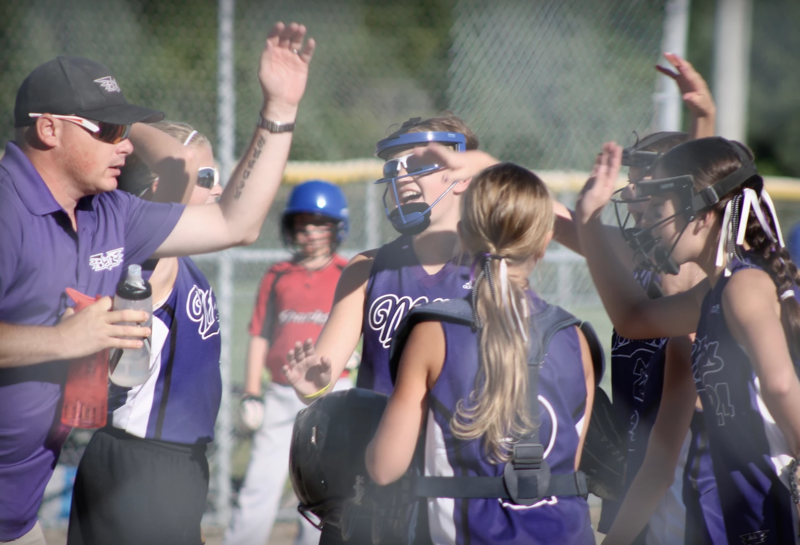 The rep softball program is intended to provide a positive, supportive and competitive environment for players with higher levels of commitment and ability. The “Board” of the Milton Girls Softball Association provides an opportunity for any persons interested in coaching a rep team to apply. A selection committee is formed with the task of selecting the best candidate to be the head coach of the team. The selected “head coach” makes the decision on choices for assistant coaches to assist the team. Rep team coaches will hold try-outs to evaluate and choose players for their teams. The try-outs for rep teams are usually held in September to allow the coaches time to prepare and plan for off-season training. Players will be chosen based on parental commitment, player attitude, behaviour, playing ability and potential for improvement. Coaches will conduct various skill set drills for the players to perform in order to assess and evaluate the players i.e. base running, hitting, throwing, and catching. The evaluation process requires coaches and their chosen volunteers to make assessments based on their observations and their personal opinions of the player’s abilities. There is no appeal process for the try-out process. Depending on how many players attend the try-outs, coaches may be seeking a particular age year to form a nucleus for a team. Milton Girls Softball Association may form two rep teams in a Division if there is enough interest and if the criteria described above is evident amongst the players attending the try-outs. It is the discretion of Milton Girls Softball Association to permit a rep team and/or allow a second team to be formed. There is no commitment or obligation for any player to attend a try-out. Those players not chosen will be encouraged to participate in the House League program and continue to develop their skills. Players not chosen will have an opportunity to try-out for a Select Team in the spring. At the conclusion of the try-outs, players (families) selected to the team by the coach will be asked to sign a letter of commitment. What is the level of commitment expected for rep softball? Rep players generally are expected to attend at least 80% of practices and games (including tournaments). Coaches are encouraged to track player attendance and rep coaches have significant discretion regarding individual playing time as well as selection of players with poor attendance records (regardless of try-out ranking). Coaches tend to be understanding that players may not be able to attend every practice and may miss the occasional game or tournament, provided you give them reasonable notice and it is not a frequent occurrence. Coaches tend to be in-tolerant of players regularly missing or showing up late (or unprepared) to practices or games. Expectations regarding attendance and reasonable notice for an absence should be discussed up front with the specific coach. How many days per week do rep teams practice and play? The number and frequency of practices and associated days/times are set by the coach. Most rep teams start with at least one or two indoor (gym) practices per week from January through to April, than at least one outdoor practice per week after the season starts. Some coaches may expect players to do some additional practice on their own (or with a parent) or may hold extra practices for specific players. The regular season for rep teams runs from the first week in May until August. Rep teams will participate in league play, likely in the Peel Halton Softball League loop which includes teams from the Region of Peel & Halton. League games are approximately 16 games throughout the week and may average around 6 games per month. In addition, Rep teams participate in at least 4 -6 weekend tournaments during the season which includes the Provincial Championships. Scheduling of tournaments is up to the coach, based on what tournaments are available. What if my daughter also plays [sport] and has to miss softball games or practices? Most coaches tend to be supportive (within reason) of players involved in multiple sports, provided it does not significantly reduce attendance at practices and games and does not negatively impact the team. However, this is something that needs to be discussed and worked out with the specific coach, preferably before the player is placed on a rep team. Please note the amount of flexibility extended by the coach may vary depending upon the particular player and circumstances. Yes, there is frequent travel to games and tournaments. All home games are played in Milton (usually Sherwood Park) while away games (half of regular season games) are scattered across Peel & Halton. Most tournaments are played in Southern Ontario. Most coaches require players to be at the field at least 1 hour before a game, so typically they need to be there by 5:30pm for regular weekday games (home or away) for Mite & Squirt Divisions and 7:30pm for regular weekday games (home or away) for Novice & Bantam Divisions. For weekend tournaments the arrival time can be early as 7am for an 8am game. Some tournaments such as the Provincial Championships may require overnight travel and accommodation. What does it cost to play rep ball? Costs associated to rep players are higher than for house league players. This helps to fund the significant additional costs associated with the rep teams, including special uniforms, gym time, insurance, equipment, instructor fees, field permits, umpire fees, league fees, tournament fees etc. Individual teams usually maintain their own budget as well, and may ask for additional contributions or participation from parents and players in team fundraising activities to help pay for costs not otherwise covered by the Association or private sponsorships. The Association typically does not pay for special clothing such as hoodies. Some of these items may be paid from the team budget, or by the individual player/parents. Required team budget contributions and fundraising activities as well as other individual equipment/clothing costs shall be discussed with team families held by the particular head coach or team manager. It is estimated that a player cost for the season will be approximately $1200 - $1500 but may vary depending on the team’s commitments. Player registration fees do not include personal items i.e. ball glove, cleats and does not include travel costs i.e. hotels, meals. External links are provided for reference purposes. Milton Girls Softball is not responsible for the content of external Internet sites.